The premises of Congress leader Baba Siddique were on Wednesday raided by the ED in a money laundering probe related to an alleged Rs 400-crore slum rehabilitation irregularities case. 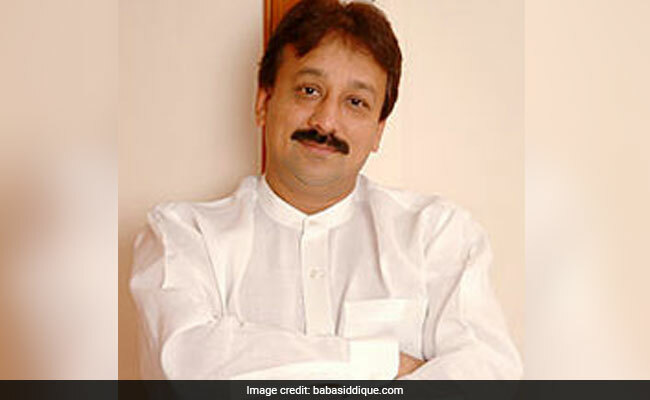 Congress leader Baba Siddique is known for his links with Bollywood celebrities. Mumbai: The premises of Congress leader Baba Siddique were on Wednesday raided by the ED in a money laundering probe related to an alleged Rs 400-crore slum rehabilitation irregularities case. Officials said the searches were conducted at about seven locations in the Maharashtra capital, including premises of Mr Siddique, a real estate firm and a builder connected to him. Mr Siddique, a former minister in Maharashtra government, is known for his links with Bollywood celebrities and got actors Salman Khan and Shah Rukh Khan into a much talked about patch-up hug in 2013, after years of reported frosty relations. Some front companies allegedly "connected to" Mr Siddique were also searched by the Enforcement Directorate (ED) teams, which swooped down of these premises early morning. The ED, they said, has registered a criminal case against Siddique and about a dozen others under the Prevention of Money Laundering Act (PMLA) recently, based on a local police FIR. The Bandra police had registered an FIR in 2014, on directions of a local court, to probe alleged financial irregularities in a slum rehabilitation project launched in suburban Bandra here, to which Mr Siddique is alleged to have been involved. Mr Siddique has been the Chairman of the Mumbai board of the Maharashtra Housing and Area Development Authority (MHADA) between 2000-2004. A complainant had approached a local court in 2012 stating that the flats allotted in the residential buildings constructed after demolishing the slum in the Bandra area were granted on the basis of alleged fake documents and had other irregularities. The agency also suspects use of certain 'front' or 'benami' companies in committing the alleged irregularities and hence the raids are being conducted to gather more evidence, they said. The ex-minister had denied allegations made against him in this case in the past. Mr Siddique has been a three-time Congress MLA, Minister of State for food and Civil Supplies (during 2004-08) in the Maharashtra government and has also served as a Municipal Corporator. His grand Iftaar parties are attended by a host of Bollywood actors. His 2013 party is remembered for actors Salman Khan and Shah Rukh Khan embracing each other, hinting a thaw in their ties.